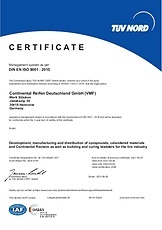 Founded in 1871, Continental has extensive know-how in tire technology and consequently, in the manufacturing and application of bladders for tire production. 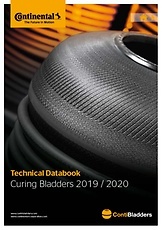 The ContiBladders Unit has been established to focus all bladder related expertise and resources from various areas of our corporation into one organization to better serve our worldwide customers. We are committed to create value for our customers by providing high quality ContiBladders for curing and tire building at competitive prices. Every year we manufacture more than 750.000 ContiBladders used in our customer’s plants worldwide. In our warehouses we constantly keep about 70.000 bladders on inventory for quick delivery. Triggered by customer specific requirements, we develop new solutions for curing and tire building bladders, applying e.g. Finite Element Method (FEM) and the full range of R&D resources available at Continental. Using our products, you benefit from our experience of producing more than 150 million tires per year in Continental plants. With ContiBladder manufacturing sites on three continents and tire plants all over the world, we have our products and application support as close as possible. Wherever you are, we are nearby. Here you find an overview about our manufacturing sites.